The Islamic State has carried out executions in several locations in northern Iraq, killing at least 16 people. The jihadists carried out their first executions in Az-Zab, 90 km (55 miles) west of the oil city of Kirkuk, on Friday. Nine people were killed were killed on claims that they had ties with anti-Islamic State Sunni groups. A security official in Baiji said three men were beheaded on Friday. 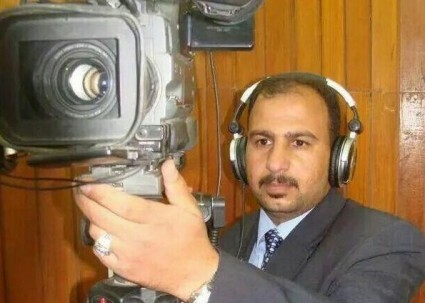 And an Iraqi news cameraman, Raad al-Azzawi (pictured), his brother, and two other civilians were slain in the village of Samra, east of the city of Tikrit. Azzawi worked for the local news channel Sama Salaheddin. He was threatened by the Islamic State after he refused to work for them. PreviousPalestine Feature: Is the Islamic State Inside Gaza?